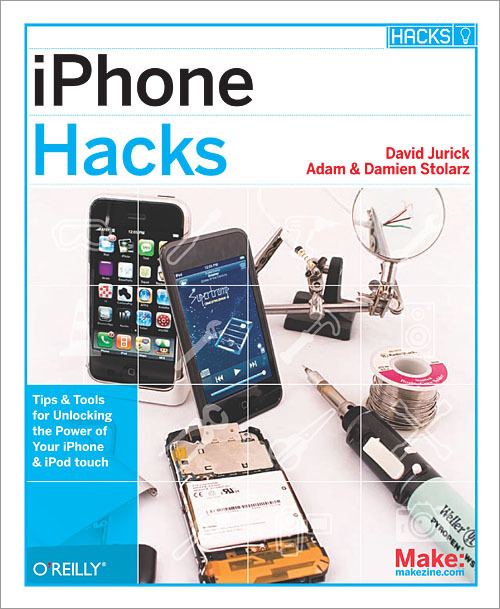 With iPhone Hacks, you can make your iPhone do all you'd expect of a mobile smartphone -- and more. Learn tips and techniques to unleash little-known features, find and create innovative applications for both the iPhone and iPod touch, and unshackle these devices to run everything from network utilities to video game emulators. Build your own electronic bridges to connect keyboards, serial devices, and more to your iPhone without "jailbreaking"
iPhone Hacks explains how to set up your iPhone the way you want it, and helps you give it capabilities that will rival your desktop computer. This cunning little handbook is exactly what you need to make the most of your iPhone. Read Signals from an Infrared Remote Control—Without Jailbreaking! Connect a Serial Device to Your iPhone—Without Jailbreaking! Connect a Keyboard to Your iPhone—Without Jailbreaking!